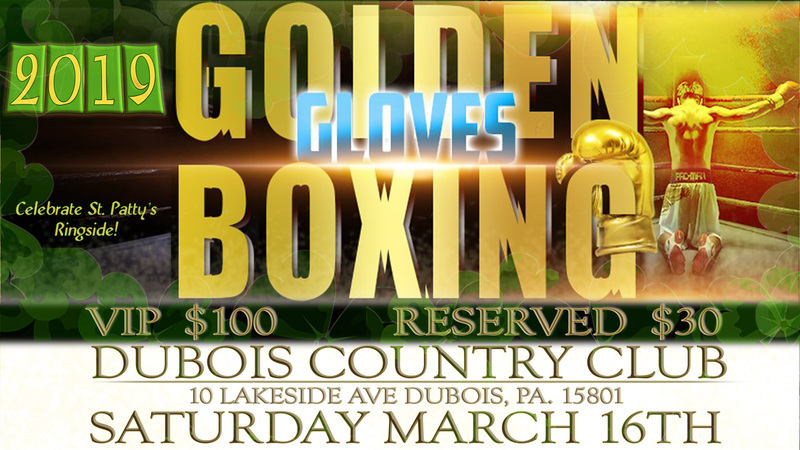 The Western Pennsylvania Police Athletic League (WPAL) is thrilled to announce that the seventh annual Western Pennsylvania Golden Gloves Championships is returning to DuBois. This year’s event will feature several local prospects who have been training at the WPAL Fitness Center on East Long Avenue. In addition to local competitors, the event will host young talent from across western and central Pennsylvania. 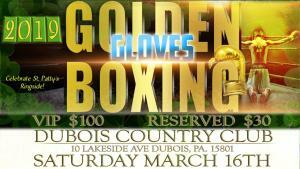 DuBois Country Club, located at 10 Lakeside Ave, DuBois, PA will host the boxing card on Saturday, March 16. Doors open at 6:30 p.m.; boxing begins at 7:30p.m. Tickets for the DuBois Event are $30 for general admission. VIP Gold Ringside, which includes a complimentary pre-party and swag bag, are $100. More information on sponsorship opportunities is available by emailing info@wpal.org, or “like” our Facebook page at www.facebook.com/wpaldubois for a chance to win a Gold Package for Two. Proceeds from this year’s event benefit the Western Pennsylvania Police Athletic League, a 501c3 nonprofit organization with a location at 37 E. Long Ave., DuBois.